The world of cycling is ever evolving, with bikes being made more aerodynamic, smoother to ride and much more comfortable. Think back to your very first bike! Really, how much has it changed since then. 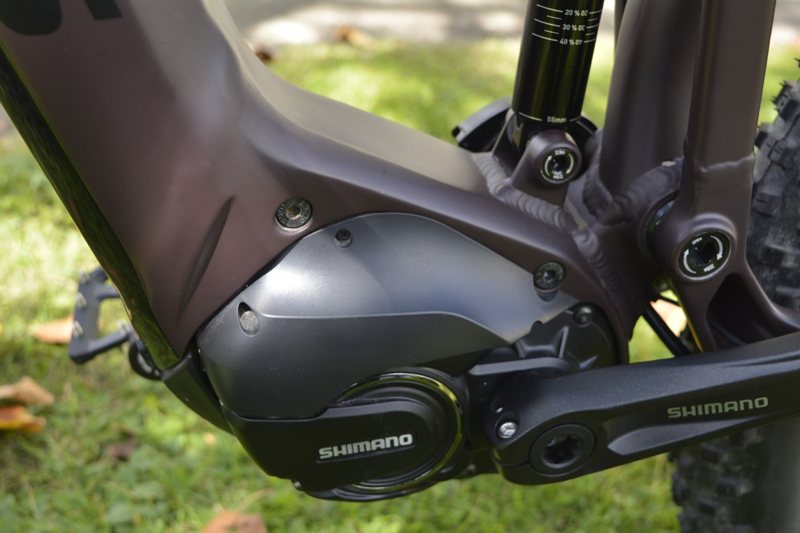 Hard saddles and downtube shifters are no more, and there are some pretty exciting changes happening this year. So come on a journey to see some of the new cycling tech trends of 2018. You can even test some of them, on your very own cycling adventure. Due to UCI’s 6.8 kg minimum race bike weight limit, bike manufacturers can’t really make lighter race bikes for the pro peloton, so they are making them more aerodynamic. Many of the top-of-the-line 2018 bikes from Scott, Giant, Specialized, and more have changed their frame to assemble elements of a TT/triathlon bike. Scott has updated its Scott Foil RC to be even more aerodynamic than the previous year. New features include truncated aerofoil sections and an integrated seatpost clamp that makes this bike as “slippery” as possible. Matthew Hayman won the Paris-Roubaix on it, so we know the Scott Foil is fast. Road bikes aren’t the only bikes to see changes in their frame designs. Mountain bikes are getting longer, lower, and slacker this year. Due to longer top tubes and slacker head angles, offset forks are getting shorter. This new design helps trail bikes climb better with rider weight positioned more over the front wheel. Also, all-mountain bikes, longer travel 29ers and Electric assist MTB’s are becoming popular in both the US and Europe. Once reserved for mountain bikes, disc brakes are becoming standard on high-end road bikes in 2018. Although the use of disc brakes is still being tested and debated within the professional peloton, German Pro, Marcel Kittel, became the first professional rider to win a Tour de France stage with disc brakes in 2017 on his Specialized Venge ViAS Disc. Bike manufacturers say that disc brakes are more aerodynamic than rim brakes, which is why you’re seeing them on high-end road bikes in 2018. Disc brakes also allow for the use of wider tires, which is also why you might see more 28mm tires out on the road. Zipp has done lots of wind tunnel testing lately of the new wheelsets and has determined their new wheels perform fastest with 28mm tires. The jury is still out on this, but we’ll see what happens as the year progresses. Test them out for yourself: Lizard Head Cycling will introduce a limited number of disc brake equipped bikes on its smaller bikes in its rental fleet for 2018! The use of tubeless tires and rims for road bikes became more popular in 2017 with both amateur and pro riders and will continue growing in popularity in 2018. Mavic, one of the largest wheel and tire manufacturers, has finally released its tubeless system for road cycling and have recently updated all their classic wheelsets, from Cosmic to Ksyrium, to be tubeless ready. Often, tubeless wheels sets on mountain bikes allow cyclists to ride longer without flats. Electric bikes are continuing to become popular with many manufacturers making road bikes, commuter bikes, and mountain bikes. While many of us may feel that riding an ebike is cheating, it certainly has its place. E-mountain bikes are selling like hotcakes in Europe. Many bike manufacturers have said that sales of traditional mountain bikes in Europe have gone down while sales of ebikes keep going up. In the U.S., we’re a little bit behind the curve, but ebikes are starting to take traction. Ebikes are becoming popular with bikeshare companies, like Spin and LimeBike, who recently announced that they would be adding ebike options to their fleets. Specialized, Trek, and Cannondale all will be offering ebikes, including e-mountain bikes, in 2018 and this trend will only continue into the future. Try it for yourself: In 2018 Lizard Head Cycling Guides will have a limited number of ebikes available for rent on our road tours. You’ll be seeing more digital shifting in 2018 on road bikes. FSA just released their new K-Force WE groupset, and Shimano has updated its Di2 groupsets. Many of the Di2 batteries are now becoming integrated into the handlebars or the frame. Again, making bikes more aerodynamic. Once reserved for the pros and the wealthy cyclists, power meters are becoming more popular with amateur cyclists and triathletes thanks to new products and price points. This year, Shimano finally got in the game with its Dura-Ace R9100-P power meter. It has many favorable reviews but continues to be quite pricey. Garmin has updated its Vector 3 pedals and released the budget-friendly Vector 3S. Although power meters are a cool tool for training and learning about one’s body, it’s always better as a cyclist to keep your head skywards rather than looking at another screen! Are you dying to get on the road and try out this tech for yourself? Get in touch to start planning your bike tour today. We have tons of great Early Spring Bike Tours coming up, which are perfect for dusting off the cobwebs and taking your bike off the trainer. If you’d like to learn more about how to plan the perfect bicycle vacation, sign up to our free email course. This entry was posted on Wednesday, January 31st, 2018 at 11:33 am and is filed under Featured Posts.